So please, grab the button & link up your post that tells me what you're thankful for! the reminder that it is not about the items you have that matter - but the outcome of your life. When you die, you won't be honored by what you had - but what you did with your life, how you made others feel, how much they loved you & how much you loved them. A Valentine's goodie bag from his grandparents and a very nice card & Reese's (my favorite!) from my parents. They made my day! All of your lovely comments about my new blog layout. I know there's still a lot of work to be done but I am pretty proud of myself for doing what I've done! Having the opportunity to go to a TED Show...blogged about my experience a couple of days ago. Would love to go to another one! Boiled peanuts! We grabbed some on the way home from Gainesville...YUM! Speaking of our road trip, we found this great organic produce place (in the boonies) - we scored on some produce! I have been to quite a few different countries - I am so blessed + grateful. Receiving my very first Birchbox! Kind of disappointed but still fun getting mail. Speaking of make-up, I've worn mascara for the FIRST TIME in two weeks this week. I had an eye infection and was told not to wear anything...so hard not to! Having the finances to get rid of my old make-up and buying fresh, new! I still need to grab some eye shadow...everyone keeps telling me Urban Decay. Hmm! I think I've already told you how I am so excited for the weekend of March 17? A college friend is coming to town ALL weekend...she has some great plans...I cannot wait to spend the weekend with her and some other friends. Miss everyone so much! Wish we all lived closer. Great post! So much to be thankful for. Thanks for linking up! I love your Thankful Thursday post and yes I am adding a journal day to list my thankful entries of the week. Thank you so much for the inspiration! I got Lady and the Tramp for Valentine's Day. We have some good friends visiting that weekend. and just got a tv given to us by a good friend of Johns. 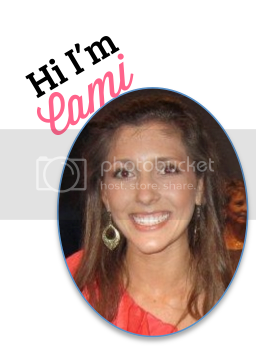 Hi Cami, I didn't do a new post for today. I just wanted to tell you I will next week. My dtr and family are coming today and I have been sooooo busy getting ready. They live in Kissimmee so this is a big trip for them to the mountains. I am thankful I met you. Your thankful list is so happy and you are delightful. I mean it. Urban Decay does makes some great eye shadow! :-) It's our favorite! But we have also been loving the new Bare Mineral Ready eye shadows. I love your Thankful Thursday posts and I just might have to consider doing my own thankful post...thanks for the great idea! Love your blog, always! I love your Thankful Thursdays posts! I think I might have to consider doing a thankful post of my own...thanks for the great idea! Love your blog, always! Have a great weekend!!! wonderful list of thanks as always! !